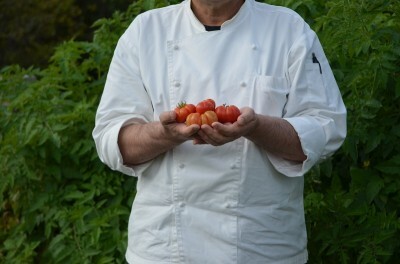 As the weather gets colder our garden has surprised us with a last abundant flush of tomatoes. Not only have we had various cherry tomatoes but also quite a number of kilos of delicious Costoluto Fiorentino- the flavoursome ribbed tomatoes native to Tuscany.We’ve picked our primary crop of broccoli – the main heads that come from the centre of the plant- and now eagerly await the secondary shoots. These side-shoots are called broccolini in the shops and we find them tastier than the central heads. 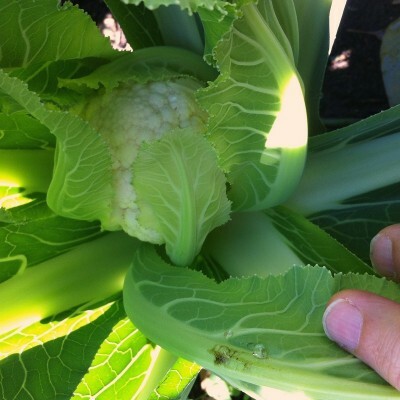 Marching into winter we have snowy white cauliflower and crisp cabbage ripening over the next weeks as well as horseradish. As well we have our puntarelle coming on. This unusual member of the chicory family is used in salads and pasta. We are very excited to have planted two large patches of Calabrian purple garlic which will be ready to harvest before Christmas. This season’s recipe takes advantage of our winter garden. 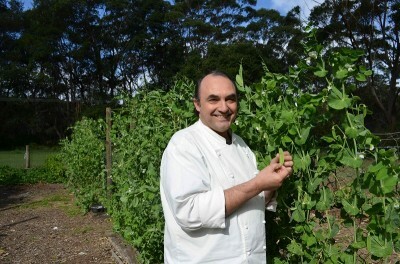 Late winter in Stefano’s garden sees early crops of spring peas, carrots and sugar snaps. Learn how to cook whole duck and the famous Manfredi fish and shellfish stew. 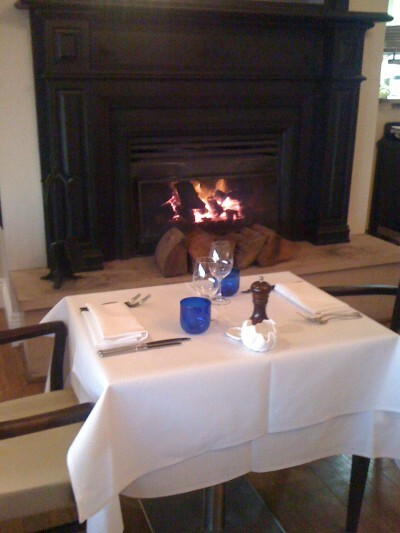 Complete the menu with a warming strudel and freshly churned gelato.